Anyway, how many of you have amazing plans for tomorrow? It's Valentine's Day after all. I'm thinking good food and a movie night after work for my fiance who is currently having his toe nicely in package as he had a little surgery earlier this week. Don't worry, it was nothing major, but in his words, painful as hell. So on top of everything, I'm trying to be also a nurse to him. Which is kind of fun - am I missing my calling, studying business? Lol. 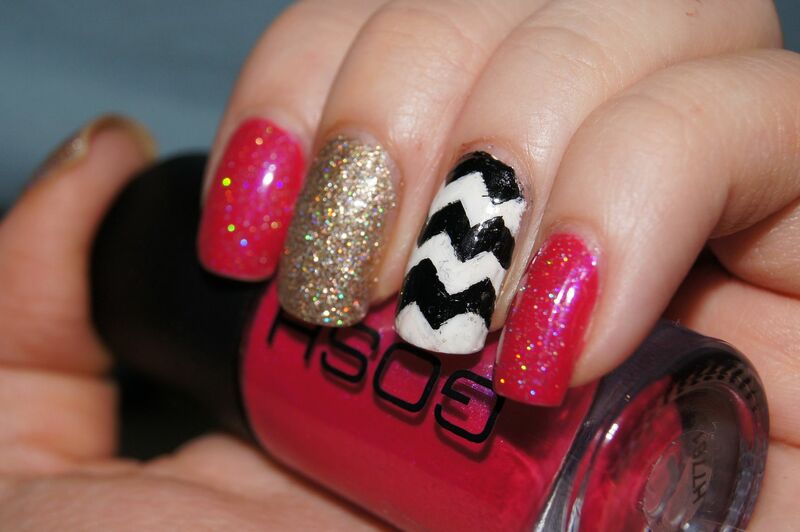 First up is a chevron mani inspired by the super talented @selenadee on Instagram. 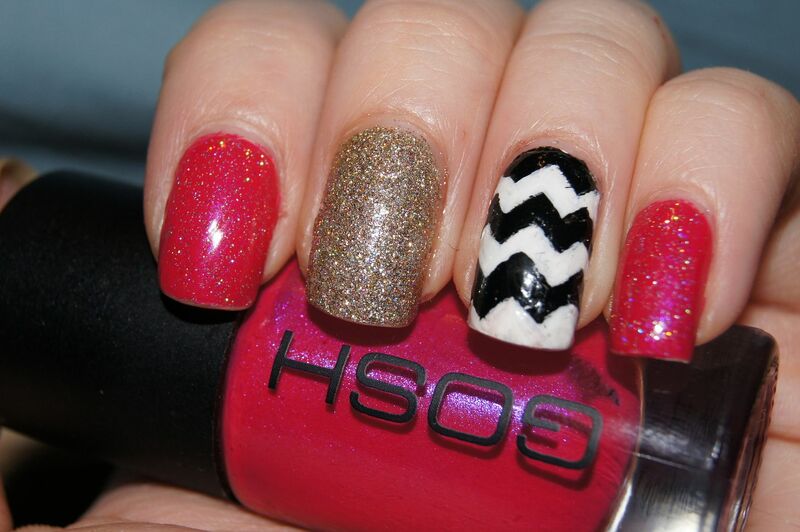 I loved the idea of chevron, metallics and bright pink together, so of course I had to try this. 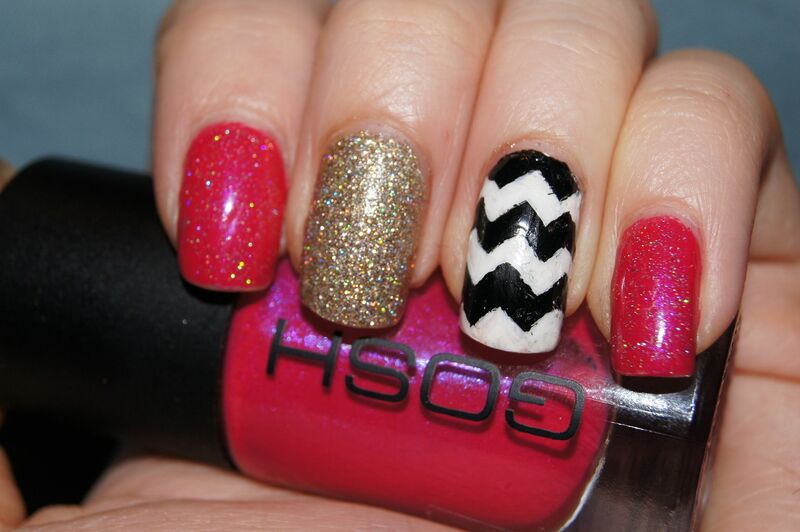 In case you want to try chevron mani at home, and you either don't have nail art brushes, or you can use tape as help. 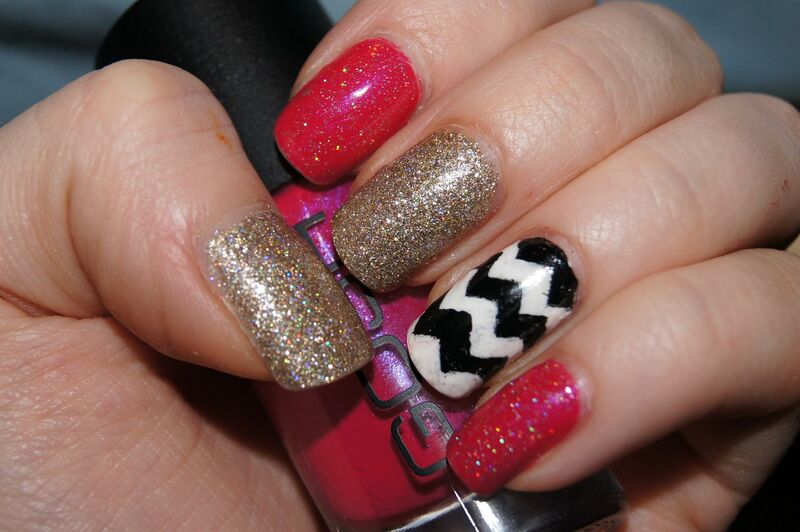 I did mine by cutting tape into thin strips with zigzag craft scissors, and using them as guidelines. 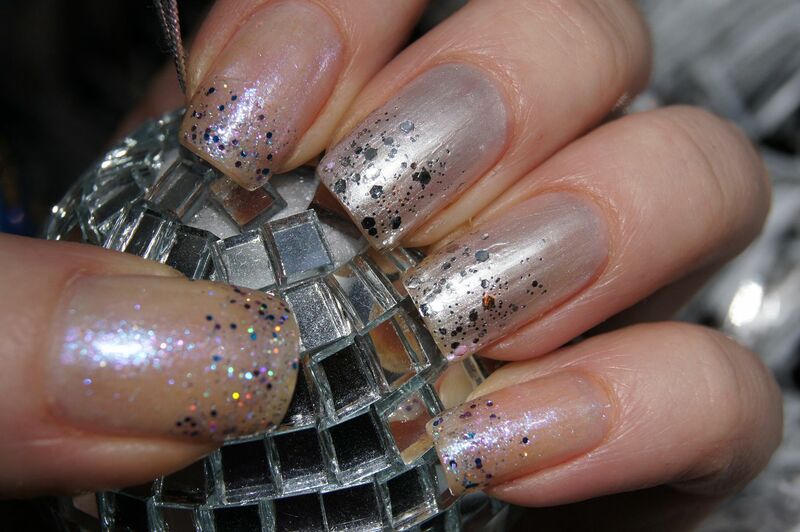 And those of you who love the glitter on top of the pink polish, google up China Glaze fairy dust. 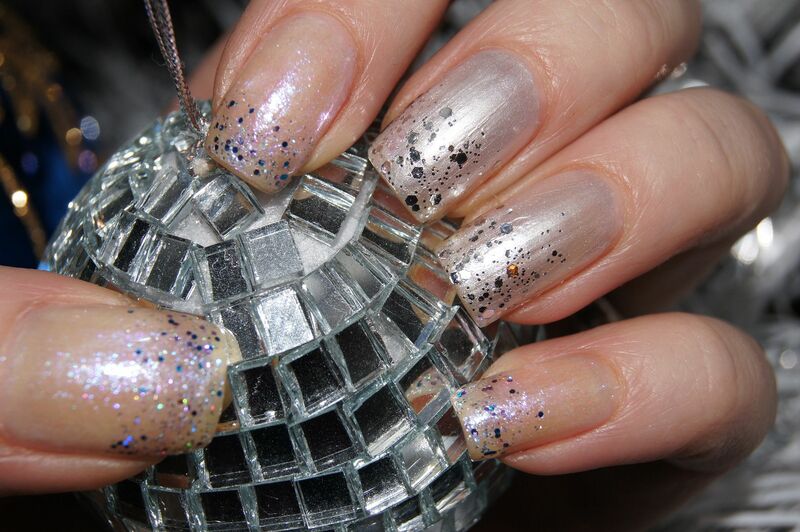 It's an amazing polish that turns any polish into a glittery one, when added on top of a colorful polish. I personally love it, and I think many of you would, too. 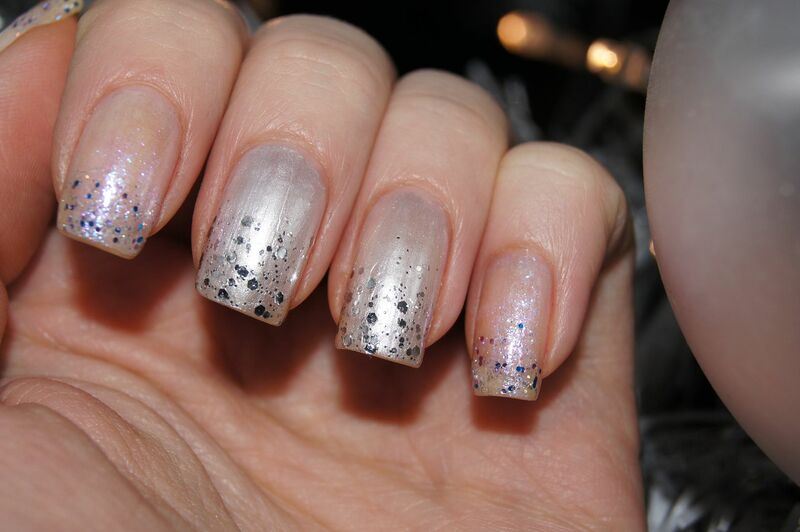 The second one is more subtle, where I played with the white polishes included into my Ciate Christmas calendar, and then added glitter in tips. 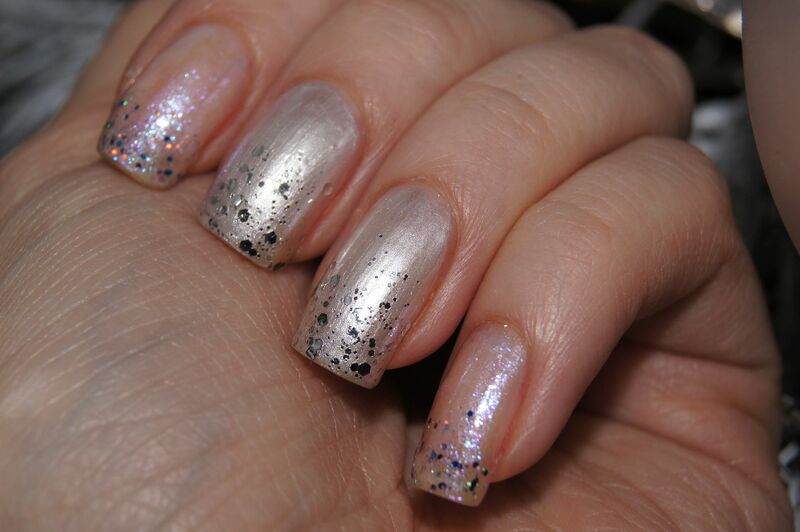 This is much more subtle than what I usually do, but I think it's great for variety.